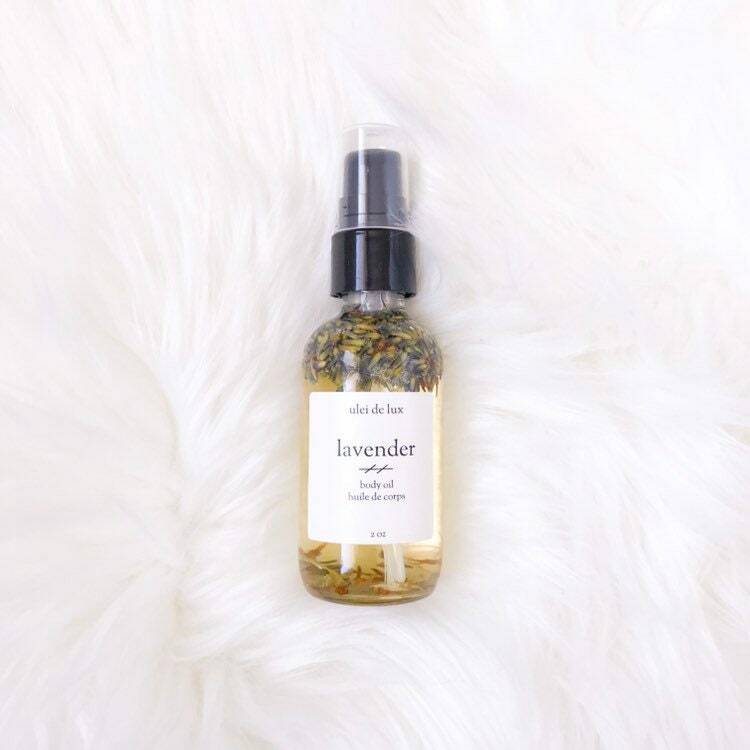 This calming body oil is infused with lavender buds and scented with lavender essential oil. The oil is a blend of camellia oil, coconut oil and sweet almond oil. Use it as an all-over moisturizing body oil, a relaxing massage oil, or add it to the bath as part of your bathing ritual. Caprylic/capric triglyceride (Coconut oil), Prunus Amygdalus Dulcis (Sweet almond) oil, Camellia Oleifera (Camellia) oil, Lavandula officinalis (Lavender) Buds, Lavandula Angustifolia (Lavender) Oil.